Home >> November 2018 Edition >> SatBroadcasting™: The RSCC Experience...Delivering football to Latin America and beyond. SatBroadcasting™: The RSCC Experience...Delivering football to Latin America and beyond. 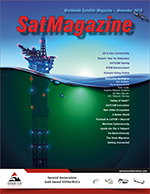 Satellite applications have spread far beyond transmitting video since then — now satellites are widely used for delivering voice and data; however, broadcasting remains the bread and butter for the SATCOM industry, bringing in more than 60 percent of global revenues. Global sport events, such as the Olympic Games and FIFA World Cup, have been always an exhibition of the latest developments in live video broadcasting, IT and telecom. 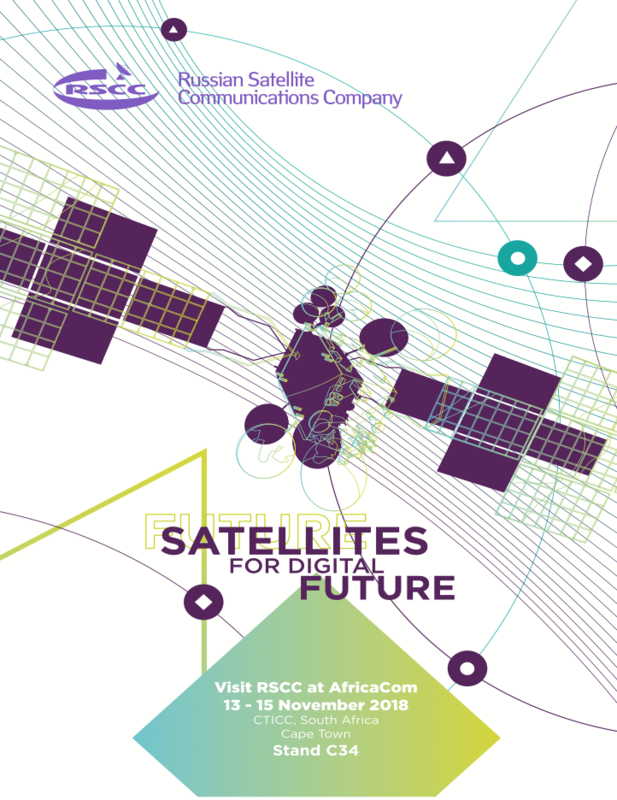 RSCC, as Russia’s prime satellite communications and broadcasting provider, has been heavily involved in the transmissions of both events. The 2014 Winter Olympic Games in Sochi were held in just one city, so terrestrial fiber and wireless technologies played the main role. This year, the main global football event was held simultaneously in 11 cities spread across Russia and the events were attended by more than two million fans in support of 32 national teams. Satellite was predominantly used for live reports and interviews with players, coaches, celebrities and fans around the stadiums. A special information / communication infrastructure was deployed, combining 11 cities into a single network serving 230 locations. Video transmission was also made available to broadcasters from 220 countries. An internal cable broadcasting network was deployed, connecting more than 5,000 TV screens at the stadiums for the audiences and commentators. For the first time in history, all video for the media stands at the stadiums was transmitted in Full HD format. Also, the Ultra HD option for transmission was — for the first time — available for all matches. Non-linear viewing of the events was also huge — in total, 258 Tb of Internet traffic was consumed by the streaming audience. 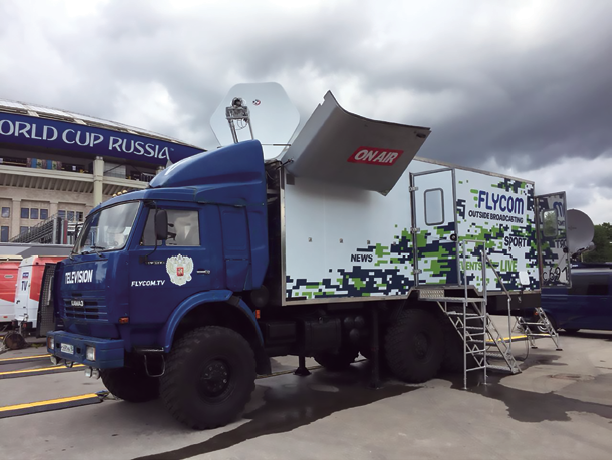 In addition to providing backup for fiber transmissions, satellite was heavily used for the occasional-use (OU) services, delivering live transmissions of reports, interviews and other events surrounding the World Cup. RSCC was heavily involved in these transmissions, delivering live content from SNGs (Satellite News Gathering) to major Russian broadcasters via the company’s Russian Ku-band beams of Express-AM satellites located at 40 degrees East, 53 degrees East and 140 degrees East. International customers were also using RSCC satellites as a source of live video content from World Cup venues. This time, RSCC has gained a unique experience in working closely with various broadcasters from Latin America. Express-AM8 satellite, located at 14 degrees West, was used as a primary source for OU services from Russia during the global football event. 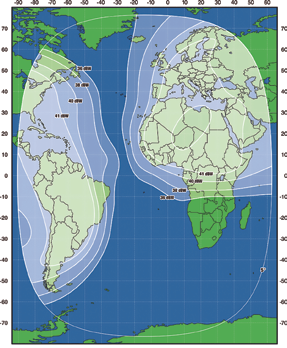 In fact, this was not the first time RSCC satellites were used for delivering TV content to South America. In 2017, the same satellite was used for live transmissions of the football matches from FIFA Confederations Cup, which is typically a dress rehearsal for the country hosting World Cup to check its readiness status one year before the main event. At that time, satellite transmissions were organized from four cities delivering live feeds to Chile and a few other South American nations. That was a unique experience for RSCC of close and online interaction with OU and broadcast engineers from Latin America TV companies. According to the broadcasters and SNG providers, the satellite solution offered by RSCC enabled them to avoid costly turn-around services at European teleports, ensuring the quality of transmission service with delay lower than via trans-Atlantic fiber systems. This helped Latin America broadcasters to increase the audience, as the viewers instinctively were choosing the channel where the action was happening earlier than at alternative sources. Capitalizing on this previous experience, RSCC has expanded the company’s offerings to Latin America TV companies during the World Cup in 2018. Concurrent with satellite transmissions for Russian customers via the additional RSCC satellites, the Express-AM8 satellite was dedicated specifically for trans-Atlantic delivery of TV reports to customers in Peru, Chile, Columbia and Mexico. 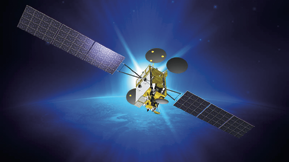 The unique footprint of this satellite has made it possible to transmit video feeds from the World Cup host cities directly to Latin America countries using one hop at lowest latency, without turnaround service in Europe. Football fans in Latin America were able to watch live reports from the training camps of their national teams, interviews with players and fans, and other news related to the World Cup. The Express-AM8 satellite is one of the latest assets added in 2015 by RSCC to the firm’s 12 GEO satellite orbital fleet. The satellite is located at 14 degrees West — the spacecraft’s beams cover all of the continents on both sides of the Atlantic Ocean. This gives RSCC a unique opportunity to offer simultaneous event coverage for customers in Europe, Africa, Middle East, and the east coast of North America, Caribbean region as well as Latin America in C- and Ku- bands. In addition to connectivity options in delivering or backhauling data traffic in Latin America, this satellite is also an excellent tool for TV distribution and the delivery of video content from all over the globe to viewers in Latin America. Artistic rendition of RSCC’s EXPRESS AM-8 satellite. Based on the recent experience gained from live transmissions to Latin America from the World Cup in Russia, the Express-AM8 satellite has gained some serious advantages over the terrestrial routes of delivering TV signals from Europe, including lower latency and cost, less complexity and wider coverage. Now RSCC is ready to offer international and national broadcasters a new tool for delivering their video content to Latin America with playout, encoding, CAS and uplink services at RSCC teleport in Moscow or at partner teleports in Western Europe. RSCC offers an attractive low-cost offer for payTV platforms all over Latin America for the delivery of original Russian-made TV content and programs. RSCC is a prime satellite distributor of TV channels in Russia, acting as a one-stop-shop for TV channels willing to enter the Russian market and searching for ways to access the Russian viewers on different platforms (Direct-to-Home, cable operators and terrestrial FTA). As a result, RSCC is aggregating a substantial number of original Russian-made TV content, which is quite popular with the international audience in other parts of the world (cartoons, junior programs, adventure and leisure channels and etc.). Such aggregated content can be delivered in any format to the potential viewers in Latin America and be included into the packages of local payTV platforms. In August of 2018, RSCC accomplished a great milestone by receiving landing rights for the Express-AM8 satellite in Brazil, which is the largest market in Latin America. The Russian satellite operator received a license to operate the C- and Ku-band capacity over Brazil from that nation’s local regulator, ANATEL. In addition to Brazil, the Express-AM8 satellite provides full coverage of almost the entire Latin American countries from the south of Mexico, the Caribbean, Andean Region, Brazil, La Plata, Southern Cone and down to Patagonia. Non-linear TV viewing is increasing across the globe. OTT and other VoD (Video on Demand) services are regarded as a serious threat to satellite TV platforms. All traditional payTV operators are attempting to adapt to the new market reality by developing hybrid solutions to adjust their basic video solutions to multiscreen viewing. Moreover, television today is migrating toward a cloud solution based on the intellectual processing of metadata obtained from the viewers. Cloud-based technologies give access to global content, created in any part of the world, including user-generated content. Plus, the payment is made specifically for the content consumed, avoiding expensive package payments. Evolving payTV operators will not depend on the volume of stored content. Moreover, hybrid cloud-based solutions allow arranging signal coding in a cloud, eliminating the need for a specific physical location. The future of video transmission business is a cloud-based TV platform providing linear and multiscreen viewing options, various formats (SD, HD, UHD) and limited location presence. All this creates unique opportunities for traditional TV operators and new entrants to expand their subscriber base and content offering, find new sources of monetization and reduce their CAPEX/OPEX. 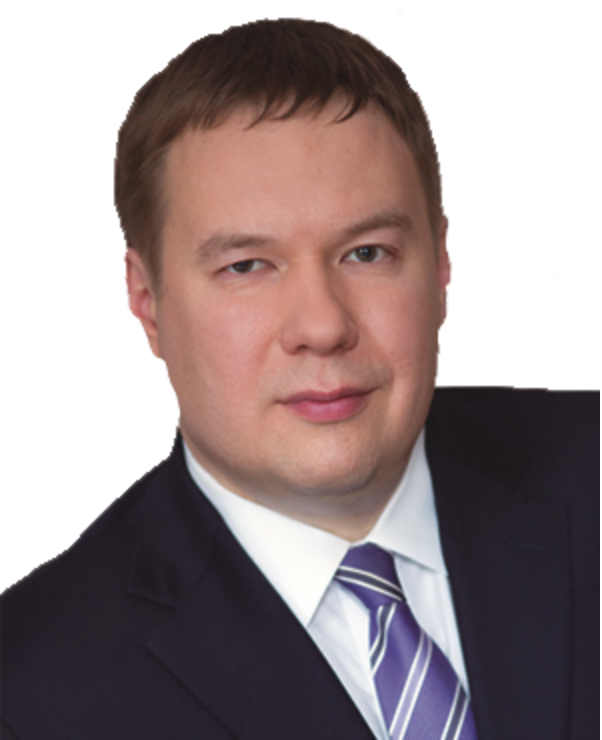 To capture this opportunity, RSCC has deployed a broadcasting managed service platform in Russia for channels entering the Russian market, offering them distribution services to Russian TV screens irrespective of the type of watching. Now, with the Express-AM8 satellite widely used in Latin America during World Cup 2018, recently obtained landing rights in Brazil and successfully launched broadcasting platform in Russia, RSCC is planning to replicate the company’s experience gained in the course of more than 50 years of satellite broadcasting to cover a new, geographical market.